Waste Management is the leading provider of comprehensive waste management and environmental services in North America. We are also a leading developer, operator and owner of waste-to-energy and landfill-gas-to-energy facilities in the United States. Headquartered in Houston, Texas, the company is publicly traded (NYSE:WM) and operates through subsidiaries providing a full range of environmental services. We serve over 21 million customers with environmentally sound management of solid wastes and the transformation of waste into usable resources. Our 43, 000 employees are committed to Environmental Performance — our mission to maximize resource value, while minimizing environmental impact so that both our economy and our environment can thrive. Drawing on our resources and experience, we actively pursue projects and initiatives that benefit the waste industry, the communities we serve and the environment. We have made commitments to sustainability that help drive our business. Waste Management uses waste to create enough energy to power more than 1.15 million homes every year. By 2020, we expect to nearly double that output, creating enough energy to power more than 2 million homes. As North America’s largest recycler, Waste Management managed more nearly 13 million tons of recyclable commodities . By the year 2020, we expect to increase the amount of material we manage to more than 20 million tons per year. Waste Management has over 130 landfill-gas-to-energy projects producing more than 540 megawatts of power, the equivalent of powering approximately 465, 000 homes. 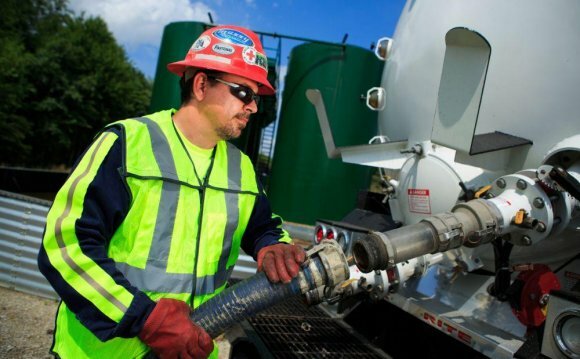 Currently, we have more than 1, 400 natural gas-powered trucks in our fleet, which is the largest in the industry. Vilho Väisälä (Finnish pronunciation: [ˌʋæi̯sælæ ˈʋilho̞], September 28, 1889 – August 12, 1969) was a Finnish meteorologist and physicist, and founder of Vaisala.